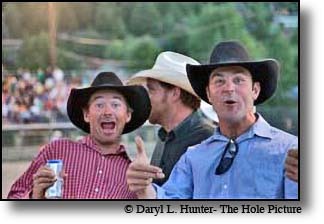 In the blockbuster movie, City Slickers, Three male friends, facing their 40th birthdays, and experiencing midlife crises, decide they need time away from their "soft" city lives. Fans of old Western films, particularly John Wayne's Red River, they decide to vacation at a dude ranch, where they will be responsible for a two-week-long cattle drive through the Colorado hills. Along the way the urban cowboys encounter bad weather; macho, gun-wielding ranchers; and pregnant cattle, but they finish the drive with their lives back on track. 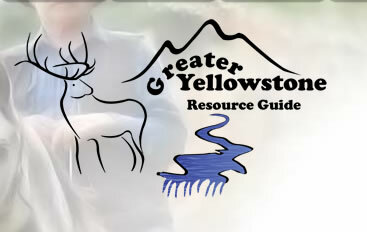 It is very easy for you to experience your own western on a Yellowstone Region guest ranch. Thousands of miles of national forest and parklands remain undisturbed and free from development. Nature hikes, horseback rides, wildlife viewing and wide, open spaces await to rejuvenate your soul. Most Guest ranches have friendly horses that can actually tear your attention away from the scenery, no small task in the mountains of the Yellowstone Region. Ethereal mountain landscape where jagged peaks tower more than a mile above aspen and conifer covered foothills valleys. With scattered white pine, grassy meadows and interspersed with areas of sagebrush plain. Horseback ride through sage-covered hills in the shadow of monolithic granite spires. Catch a big trout in little creeks, blue ribbon rivers, or in a stocked pond. Take a trail ride up a mountain canyon to where the view breaks out of a valley a mile below you. Help herd the cows of a working cattle ranch. On working cattle operations there are plenty of livestock-riding chores too ­ wrangling, cutting, and roping, to name but a few. 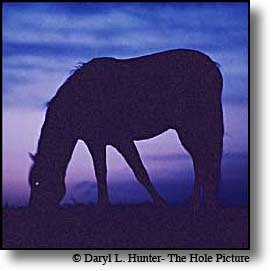 On many ranches riding turns out to be only part of each day. You can also try your eye at trap shooting, swim in a pool or pond, play a round of tennis, take a guided hike. If you need a break from ranch life, most ranches are nestled between any of several cowboy cosmopolitan towns of the region you can combine the best of ranch life’s riding-centered programs and a plethora of other activities the ranch and region have to offer. Take a night off and head into town for a rodeo. 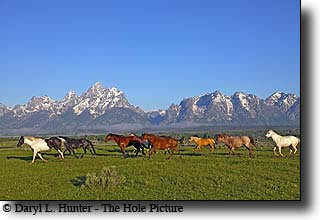 Horses, golf and tennis, fly-fishing, whitewater rafting scenic floats! Accommodations can range from: cowboy chic cabins with luxury touches, to cowboy basic. Most have a big lodge-gathering place for meals and socialization. From cozy cabins to luxurious hunting lodges, that is perfect for larger groups or socializing strangers. By the end of you trip you’ll be able to identify with the line from City Slickers: Yesterday they were businessmen, today they're cowboys, tomorrow they'll be walking funny. Whatever level of rider you are or the kind of dude ranch experience you're looking for ­ bare bones to luxury ­ The Guest Ranches of the Yellowstone region can fulfill your dream. The Triangle C has in conjunction with "Make A Wish Foundation" made a little girls dream come true by donating a week at the guest ranch. I'll bet there are a lot of us that would like to patronize big hearted businesses like the Triangle C.
Moose Creek Ranch • (Teton Valley Idaho) Moose Creek Ranch is located in a secluded valley on the western slope of the Tetons, bordering the Taghee National Forest near the Jedediah Smith Wilderness Area. 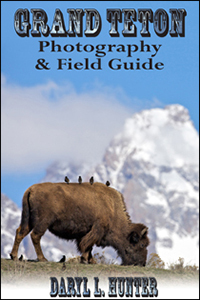 In a short, spectacular scenic drive you can be in Yellowstone and Grand Teton National Parks. These are the country's premier parks with limitless scenery. Triangle C Guest Ranch • (Dubois/Jackson) Just as important as working for the good life, is findin' a place to enjoy it. 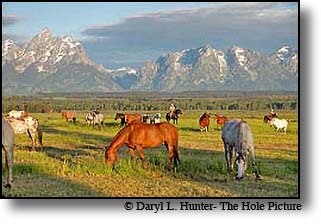 The answer is at the Triangle C Dude Ranch in Wyoming, just 60 miles from Jackson Hole Airport, 30 minutes from Teton National Park, and Yellowstone and nestled down under Togwotee Pass in the Shoshone National Forest at an elevation of 7800'. The Dude Ranch Lodge sits on a bluff above the Wind River with views of the spectacular Pinnacle Mountains and the Absaroka Range. 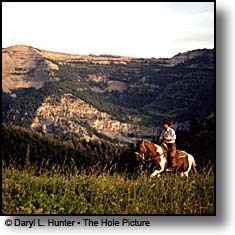 Triangle C Wyoming Dude Ranch is family owned and operated. 320 Guest Ranch • (Big Sky Montana) Experience a 110 year old homestead - reshaped into a Montana guest ranch. Relive the early western atmosphere and down-home hospitality - all in one big beautiful, historic property. Back at the ranch, as they say, we have a mess of activities that will keep everyone in your family or group happy for hours on end. Fly fishing, horseback riding, hayrides, and hiking in the summer, snowmobiling, wildlife viewing, and more in the winter. It’s all just outside your cabin door. Triangle X Ranch • (Jackson Hole WY) The Triangle X Ranch is an authentic working dude ranch and the only operating guest ranch concession in the nation’s entire National Park system. A dude ranch vacation in Wyoming at Triangle X, offers one of the most complete outdoor recreation packages of any facility in the Mountain West............Located in Jackson Hole, 26 miles north of the town of Jackson, Wyoming, and 32 miles south of Yellowstone National Park, Triangle X sits in the heart of Grand Teton National Park.................The ranch also serves as headquarters to: scenic float trips, guided fishing trips, wilderness pack trips, and big game hunting. Granite Creek Guest Ranch • (Swan Valley ID) Our guest ranch offers one of the most flexible guest activity schedules in the West all in the heart of spectacular Idaho mountain river country near Jackson, Wyoming, and Yellowstone National Park. Cattle drives and Roundups (1-4 hours duration). Scenic Trailrides, Boating, canoeing, and fishing on a 5 acre lake. The Lazy E-L Guest Ranch • (Red Lodge Montana) In 1901, the president of the New York Stock Exchange and his son went looking for a ranch. With their financial wherewithal, they had their pick of the best lands in the West. Their choice: 12,000 acres right outside of Yellowstone Park, nestled in the foothills of the beautiful Beartooth mountains. They named this little bit of heaven, the Lazy E-L. For over 100 years, the Lazy E-L has been an authentic working cattle ranch that’s served as an escape from the hustle and bustle of big city life for corporate executives, politicians, prominent families and folks who love the West. And that ain’t just talk. Squirrel Creek Guest Ranch and Inn • (Ashton/Island Park, ID) Come to the "Real World" for a few relaxing days at your own private getaway. We are nestled in natures absolute beauty. You will be embraced with the pristine surroundings that will make you happy to be alive. We are located outside Ashton Idaho. Big Sandy Lodge • (Pinedale Wyoming) Big Sandy Lodge is 44 miles from the nearest town of Boulder, Wyoming. We're at 9,100 feet elevation and bordering the Bridger Wilderness at the southern end of the spectacular 90-mile long Wind River Mountain Range. There are no public phones or electricity here at the Lodge, so leave the rest of the world behind and enjoy the beautiful mountain scenery, fantastic fishing, horseback riding on wilderness trails, the smell of evergreen trees, and incredible star-filled night skies. For city dwellers a guest ranch experience can seem other worldly! 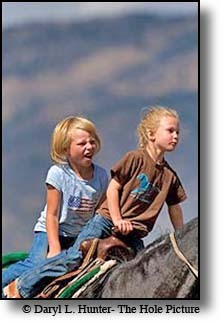 Bill Cody Ranch • (Cody WY) Bill Cody Ranch is a traditional western vacation adventure in beautiful Northwestern Wyoming. Bill Cody Ranch is located 30 minutes west of Cody, Wyoming and 30 minutes east of Yellowstone National Park! The ideal location to see all that this area has to offer! Six Quarter Circle • (Paradise Valley MT) We are an upscale guest ranch on the border of Yellowstone National Park in Montana. 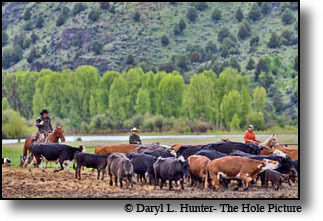 Come ride with us as we work cattle in the Gallatin Mountains. Enjoy spectacular views of Paradise Valley and the Yellowstone River while relaxing at our award winning lodge. We are proud to be a member of The Dude Rancher's Association and MTDRA. Box Y Ranch • (Star Valley Wyoming) Located in the magical Grey's River area of southwestern Wyoming at 7000 ft., nestled high between the Salt River Mountain Range to the west and the Wyoming Mountain Range to the east, Box Y Lodge is the ideal escape from the modern world, allowing you to experience a slower pace for your family, business retreat, or special get-away. Rustic and remote, old-west style, very comfortable and inviting, historic Box Y Lodge and Guest Ranch offers the very best vacation of your life. Absaroka Ranch • (Dubois Wyoming) Here in the West, very few places remain that offer both solitude and beauty on a grand scale. The Absaroka Ranch, located at the headwaters of Wyoming's Wind River and at the base of the spectacular Absaroka mountain range, is such a place. We invite you to come and enjoy all that this fabulous hideaway has to offer: horseback riding, fishing, hiking, cookouts, photography, wilderness pack trips....everything the complete guest ranch can be......secluded within the beauty of the wilderness, and among the most friendly and personal of surroundings.